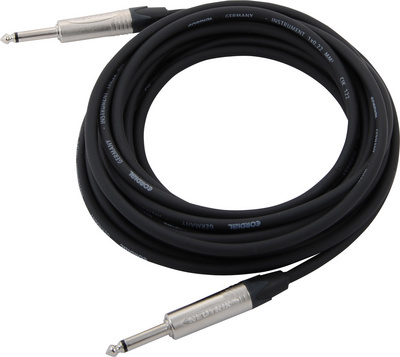 Cordial CTI 6 PP-BK professional instrument cable - jack to jack with Neutrik plugs. Colour: Black. Cable length: 600cm.